With Piglet starting on preschool work this fall, we’ve been using a lot of preschool playdough mats. 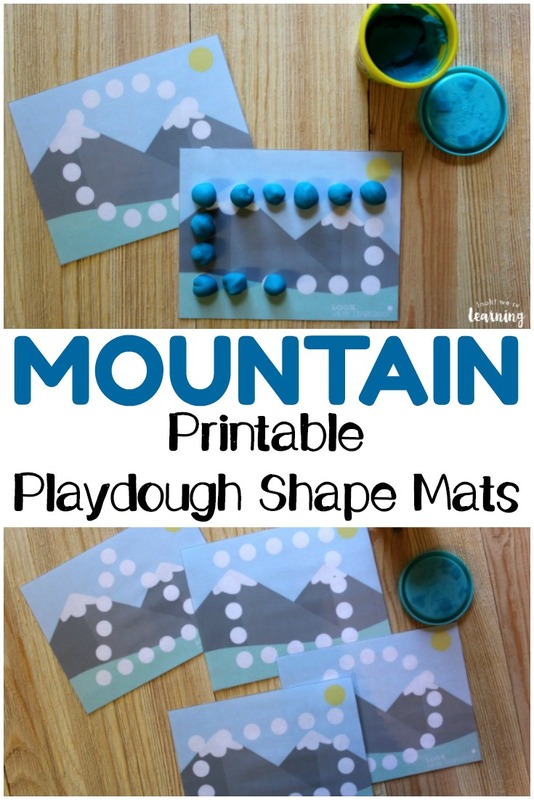 So this week I’m sharing a brand new printable set of preschool mats: Mountain Playdough Shape Mats! 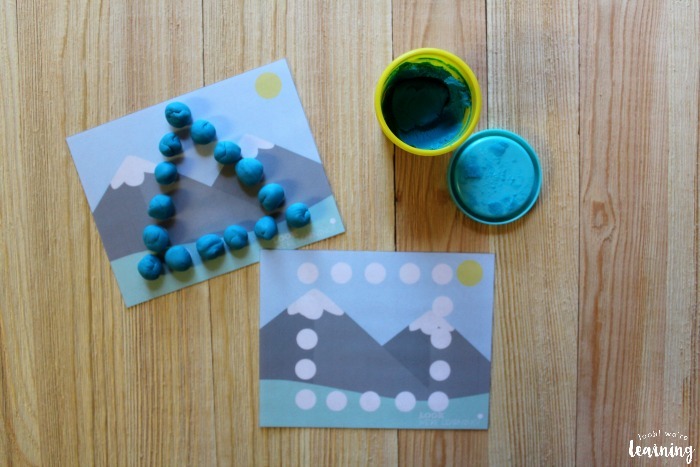 These are super fun for little ones who are working on fine motor skills, shape recognition, and more! 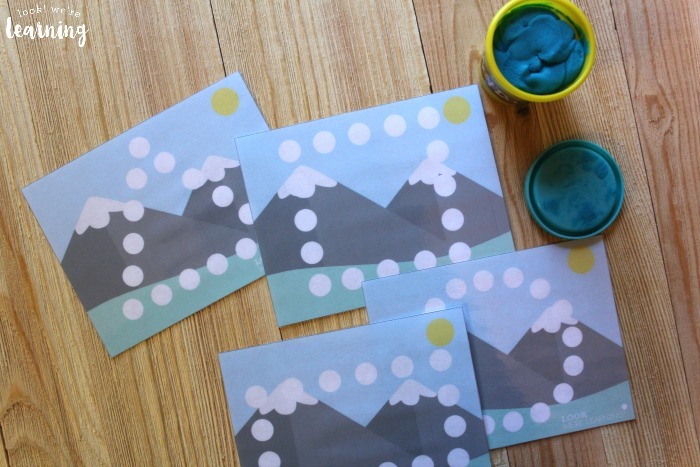 Plus, they’re a perfect activity for preschoolers who are working on a geology unit along with their older siblings. Read on to see how to get yours for free! 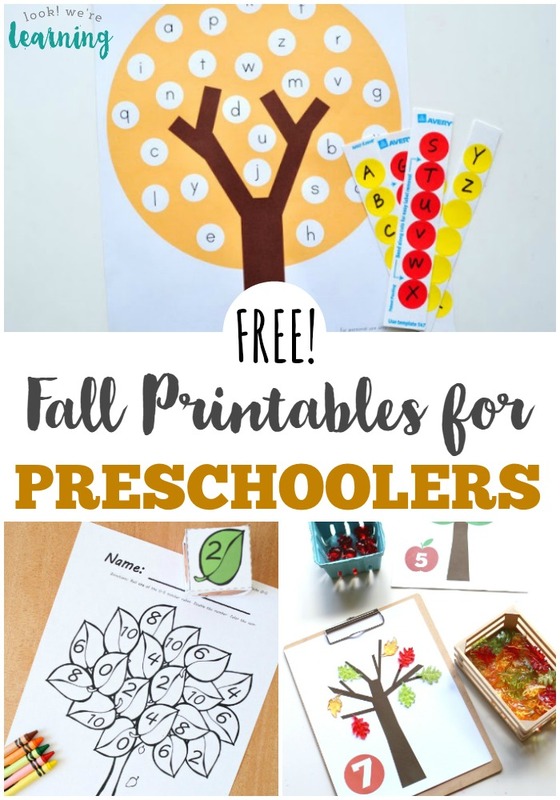 And don’t forget to stop by and check out some of our other preschool printables, including our Apple Tree Counting Mat and our Beach Playdough Number Mats! 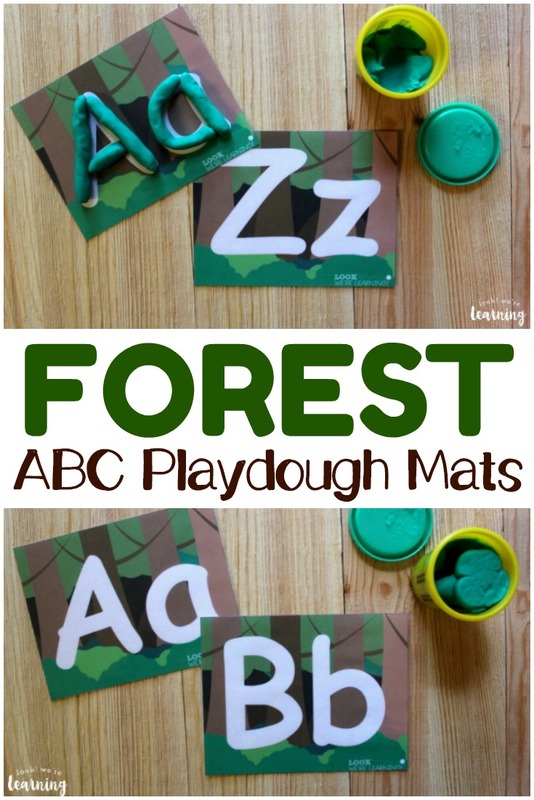 Once you laminate these mats, you can use them again and again, so here are a few different ways to use them with your preschoolers. 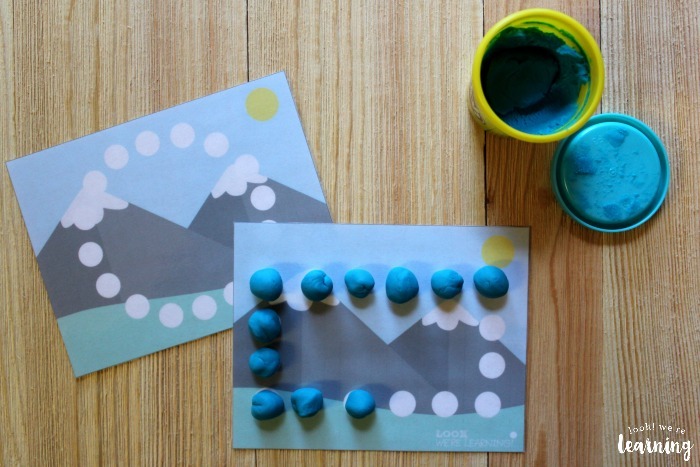 Give your child a Do A Dot marker and challenge him or her to fill in each shape with a different color. Or each dot with a different color. 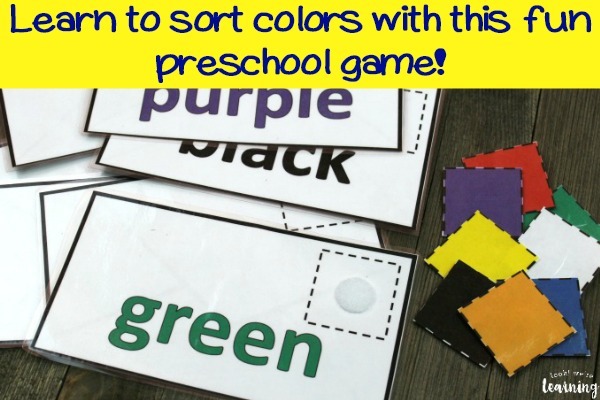 You can even ask your child to make a color pattern (one green circle, one red circle, one blue circle, then repeat it). Use playdough to fill in the circles. Have your child roll small bits of dough into circles and place them in each circle to form each shape. This is excellent for fine motor practice. Give your child dry erase crayons and bring the mats along when you’re going to a place you’ll have to wait. Good choices include the doctor’s office, the drive-through, or a long car ride. Toss a basic washcloth into the car and use it to wipe off the mats for reuse. 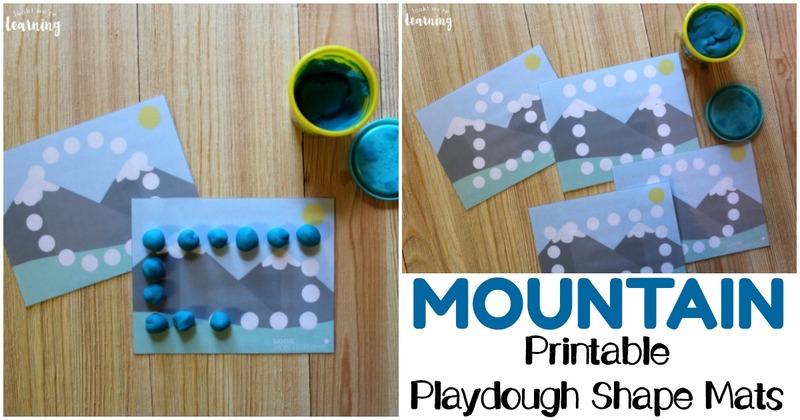 Scroll down to get your copy of our free Preschool Playdough Mats: Mountain Playdough Shape Mats! 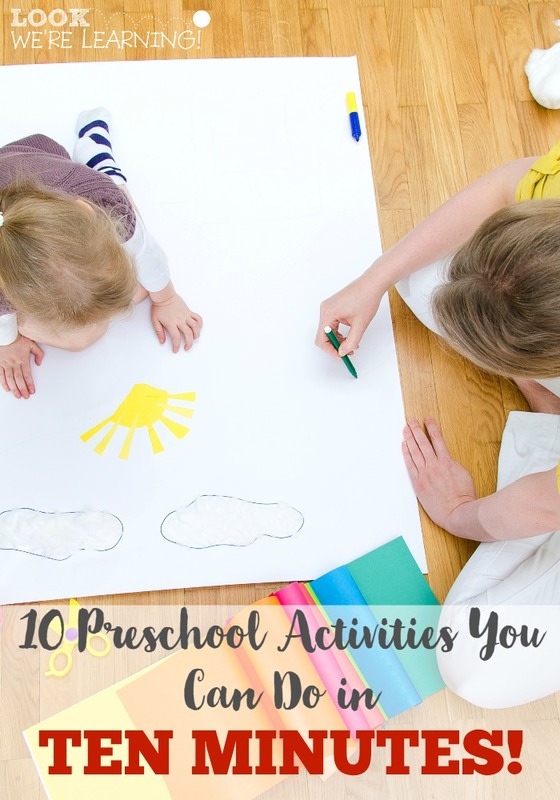 Don’t miss these other preschool resources! 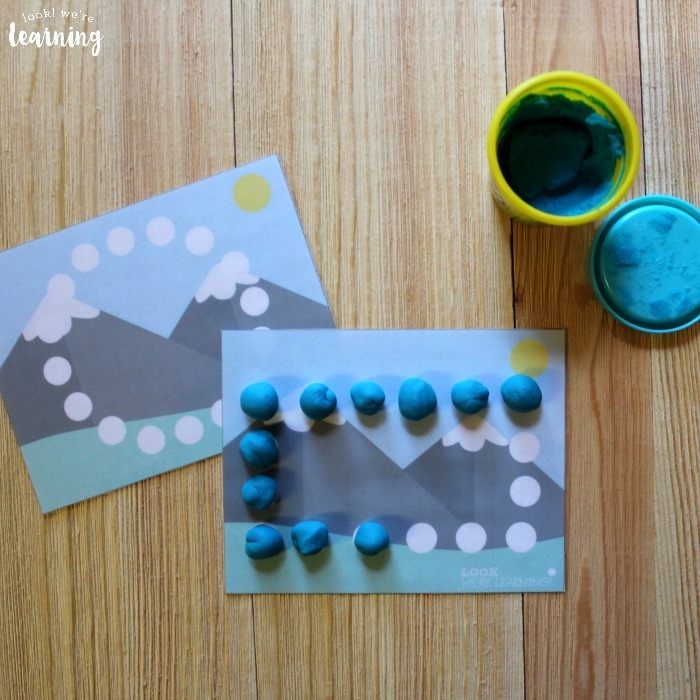 Plus, get more ideas for working with preschoolers on my Learning for Little Ones Pinterest board! 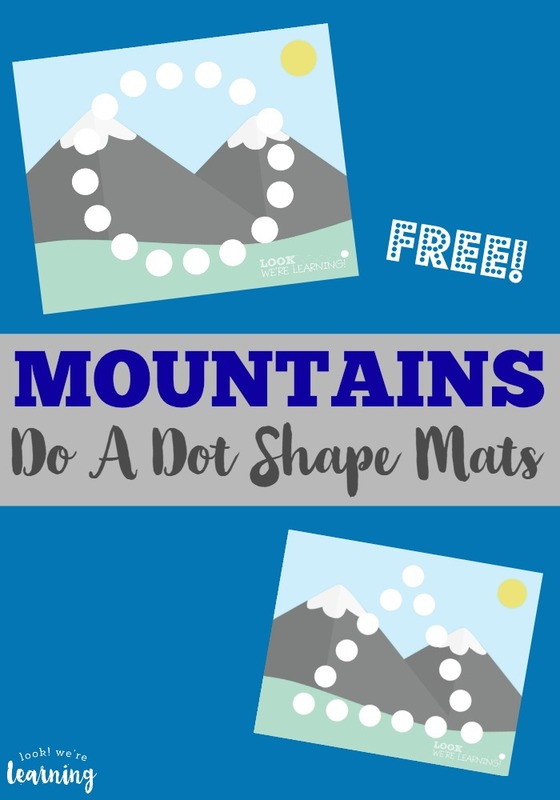 To get your copy of our free Preschool Playdough Mats: Mountain Do A Dot Shape Mats, sign up for our email newsletter! 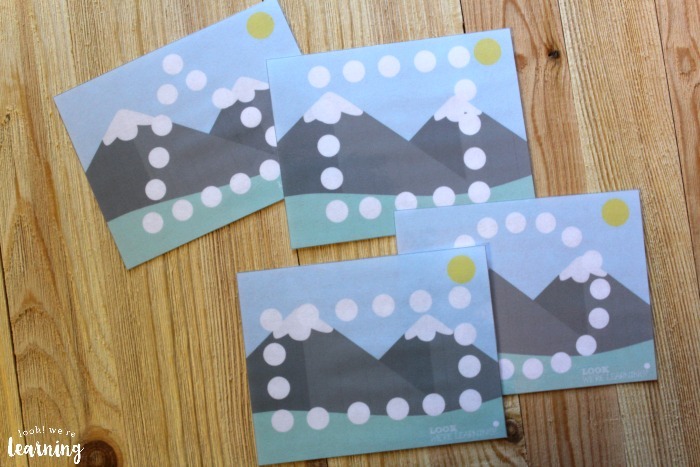 You’ll get these and lots of other exclusive learning printables when you subscribe! 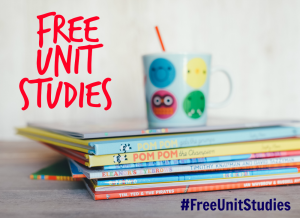 This post is part of the Mountains Unit Study roundup! Stop by to read even more learning ideas about mountains from my fellow bloggers!